Went to have a look at this little wartime gem in Rossendale. Lancashire. i once went in as a teenager, but now it looks like it is used as a toilet by the resident sheep. 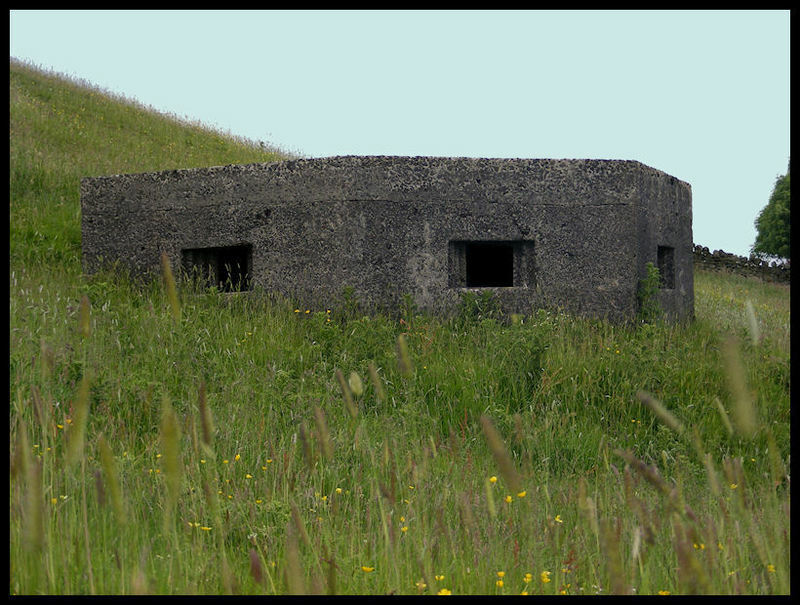 The type 24 pillbox is an irregular hexagon shape in plan. The rear wall is the longest at about 14 feet (4.3 m), this has the entrance with an embrasure on either side. 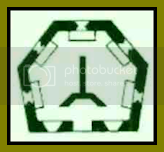 The other walls vary from 7-8 feet (2.2-2.5 m) each having a single embrasure. The embrasures are suitable for rifles or light machine guns. Internally there is a Y shaped anti-ricochet wall (the top of the Y nearest the entrance). the internal wall also helps support the roof. The type 24 was always built to at least bullet-proof standard of 12 inches (30 cm) thick, but was often built thicker than this.